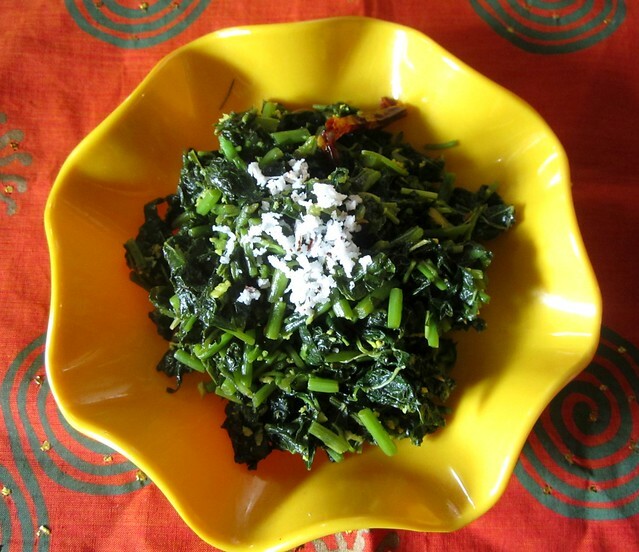 There are were a few dishes I wouldn't touch with a barge pole.Greens/cheera was one of them.However good the dish is,I had only one thing to say,how can cooked leaves taste good.No amount of coaxing or cajoling from family got me into tasting it. Don't get me started on the cleaning part.I wouldn't know what to discard and what to keep,seriously.Few days back,when in-laws were here,ma-in-law got excited with the fresh vegetable market downstairs and got home a bunch of greens.I got excited,no,I am not in love with cheera as yet,but hey,I'll get to post this on the blog! In a kadai add oil and splutter mustard seeds and red chillies.Mix in the small onions and saute till light brown. 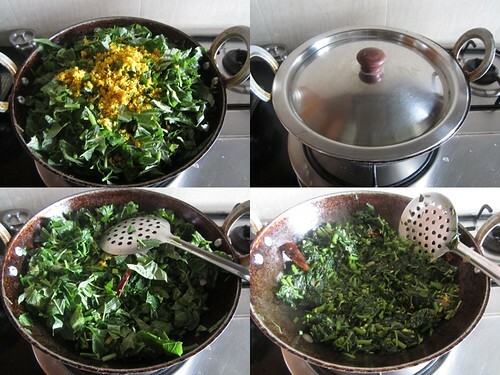 Add the cleaned and chopped greens and give a good stir. 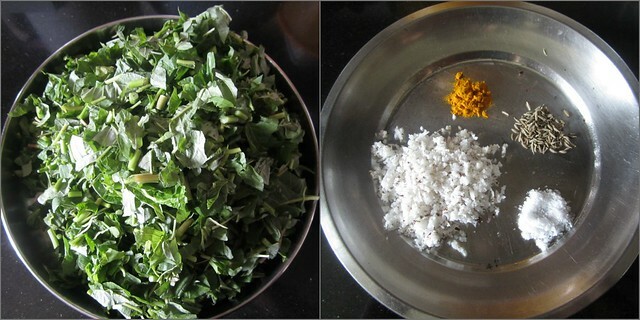 Mix together grated coconut,haldi,jeera and salt and add it in. Close with a lid and cook for 5-7 minutes. 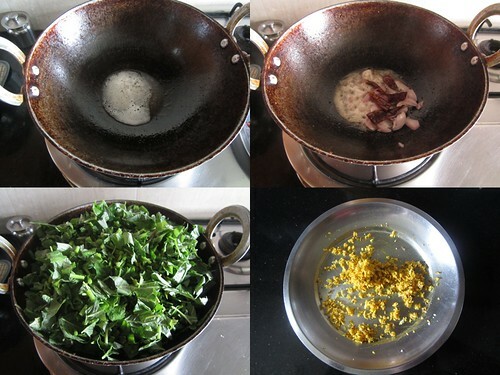 Open the lid,stir well and cook for another 5 minutes or till the greens are cooked and wilted. Healthy and one of my favourite thoran. Wow That looks absolutely delish!! Yumm! Would you like to take part in my giveaway? 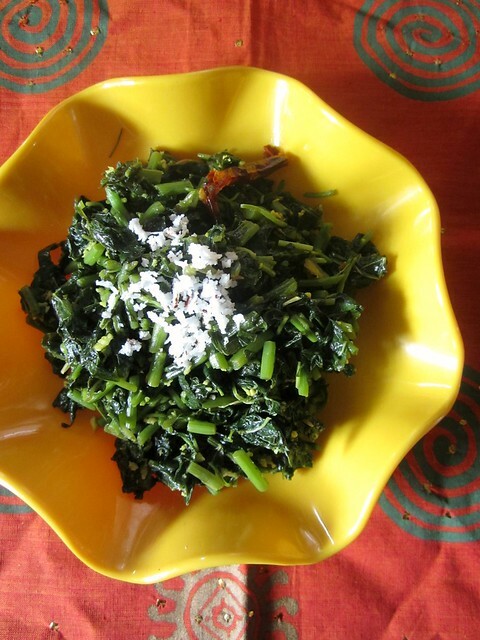 Your Thoran recipe is very tempting.In our house every one loves greens. I also bake cakes, brownies and puddings.I am new to BlogAdda.I will be happy if you visit blog and give your observations. The link to my blog is http://eccentricgrandmum.blogspot. Thank you so much.. I was trying hard to get that Malayali taste to my dishes. Today I realised coconut is indeed the secret ingredient! !